This is the poster and cards displayed on a wall. You can jazz it up by adding background card stock or construction paper. 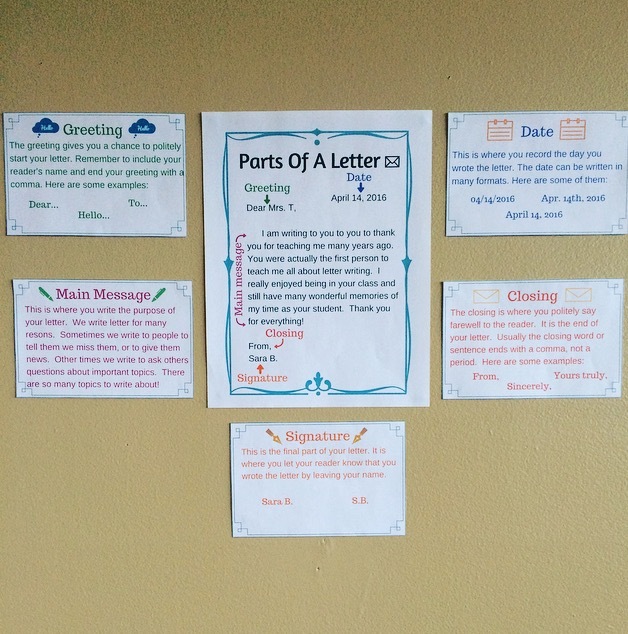 This is a great way to visibly show students each part of a letter. Each section is labelled and has a coordinating explanation card, which further details what each section is and provides examples. 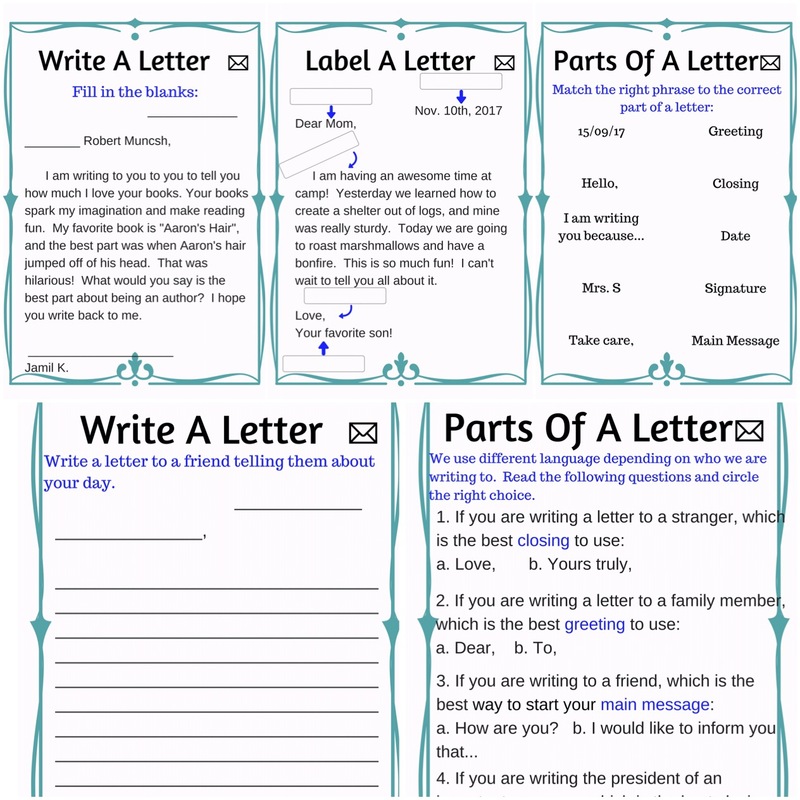 These are all the parts of a letter which have been explained, and for which examples have been provided for students. Each card has relevant little graphics by the title. If your class walls are already busy enough, and you don’t want to display this poster set on the wall, have your students create a lapbook. 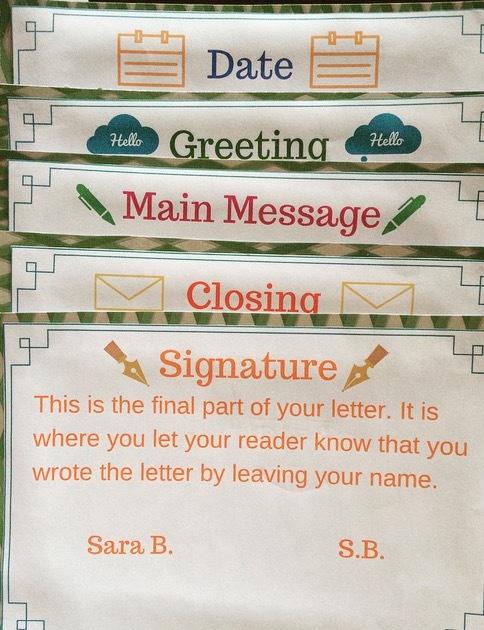 This is a great way to have students using a reference at their desks. It also allows students to take their books home and review with their parents or prepare for assessments. For a little personalized flair students may also enjoy decorating their books. A lapbook made using the poster set. 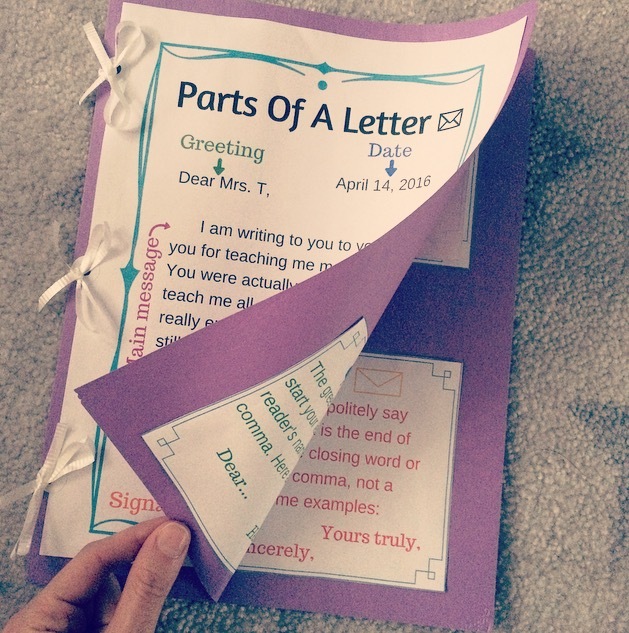 I love receiving letters, and I’m sure your students will love giving them!